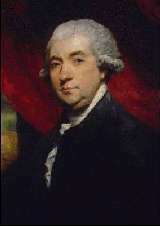 James Boswell was the oldest son and heir of a distinguished Scottish Judge, Lord Auchinleck. He was educated by private tutors until he started at Edinburgh High School. His father redirected many of his son's interests. For example, James became interested in Catholicism, but remained a Presbyterian as his father wished. James also wanted to enter the army, but was dissuaded from doing so by his father. From 1753 to 1758, Boswell studied arts and then law at the University of Glasgow. He is known to have studied with Adam Smith. As early as 1758, he was keeping a journal and had been published in several periodicals. Boswell was known to spend most of his time socializing with army officers and young actors. He contracted gonorrhea from one of many female acquaintances and is known to have fathered at least one child, who died one year after his birth. Boswell moved from London back to Scotland in 1761 and studied law in a supervised setting at home. In 1762, he returned to London. In 1763, he met Samuel Johnson, the greatest influence on his life, and, while studying at the University of Utrecht, met Voltaire and Rousseau. He was admitted to the Scottish bar in 1766. Practicing law allowed him to make frequent trips back to London. In 1769, he married Margaret Montgomerie, his first cousin. Boswell's father, a widower, was married on the same day. Together, James and Margaret had seven children, of which five lived past childhood. Through the 1770s, Boswell's moderate law practice barely supported his lifestyle. He sent his children to expensive boarding schools and continued to entertain women and drink. However, his inheritance after his father's death improved his financial state. After moving his family to London, he was admitted to the English bar, but did not practice very frequently. Although he had ambitions of becoming a politician, he never obtained a government post. Boswell's wife, who died of tuberculosis in 1783, neither shared his love for travel nor liked his close friend, Samuel Johnson. In 1773, Boswell was admitted to Johnson's literary club, despite strong protest from a number of club members. Among the members of this club were Oliver Goldsmith, a writer, Sir Joshua Reynolds, a painter, and David Garrick, an actor. Boswell devoted much of his time recording the daily actions of Johnson's life until his death in 1784. After Johnson's death, Boswell published two accounts of Johnson's life: Journal of the Tour to Hebrides was published in 1785 and The Life of Samuel Johnson was published in 1791. The latter book established a precedent in biography writing. Never before had someone recreated a person through writing so exact and vividly. However, the success of the book did not inspire Boswell and he spent his last lonely days drinking before his death in 1795.